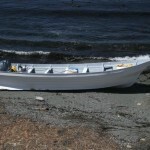 San Luis Obispo County Sheriff’s deputies and State Park rangers discovered an abandoned panga boat Sunday morning near the Piedras Blancas Lighthouse outside of San Simeon. The deputies and rangers discovered the abandoned boat in a remote cove north of the lighthouse around 9:30 a.m. Evidence at the scene indicated that people had carried cargo from the boat away from the beach. In the past two years, several panga boats have beached along the Central Coast, including three in 2012 that landed near the lighthouse. Some of the pangas that have arrived on the Central Coast carried more than $1 million worth of marijuana. Sheriff’s detectives are currently investigating Sunday’s incident with help from the State Park Rangers and the U.S. Coast Guard. legalize it. NOT so it can be taxed but because Almost every one of you has recited the pledge of allegiance and the last line is supposed to mean something. hahaha!!!! check it out.. A brand new commercial for AMERICAN STANDARD just hit the airwaves. And within the commercial is a clip of pin up girl JEANNE CARMEN in THE MONSTER OF PIEDRAS BLANCAS. We have a huge drug problem here that nobody talks about and plenty of “shady characters” to carry it out. Turn off your television before you go to bed, I think you will sleep better that way. what’s wrong with “Price is Right”? It’s comforting to know that our coastline is well protected from the threat of foreign invaders. Hmmm…much like our embassies. You’re confused. It’s embarrassing that you would equate a small boat coming ashore with a equivalent of deserter bush weakening our status in the world. Wait, you’re a republican and christian, right? People will believe almost anything if the right “officials” tell them it is so. Although the prior findings of these boats has evidenced the transporting of drugs, there is nothing in this story (or on KSBY) that says this particular boat had drugs oin it at one time. Here is food for thought: what if terrorist used this method to get to our shores to do us great harm? Don’t worry, the government will protect us. That’s why they’re recording our every phone call, e-mail, and internet browsing session, remember…? I’m not worried about terrorism, as there is no money in it. Maybe that is ploy of law enforcement: keep drugs illegal in order to keep the price high so that people choose smuggling drugs over smuggling harmful things. See the monster for yourself! Legalize it! How can people NOT understand? Alcohol is an example. Tried, and proven. it put these MULTI MILLIONAIRES out of business. Typical. You chat “legalize it”, but you don’t even know what “it” was. The boat could have been carrying cocaine, meth, heroin, etc. So I’m guessing you are OK with legalizing all of those. Do you really think these multi millionaires will let the legalization of one product put them out of business? Nope, they will simply move on to other products. Lets see that piece of driftwood had to make a journey of several hundred miles from south of the border to here and gets here without incident and the occupants unload some cargo all without getting caught,what a crock. Yep, the war on drugs marches on.